Stefano Osnaghi was born in Milan, where he studied theoretical physics before moving to Paris and receiving a PhD in quantum physics and, more recently, a PhD in philosophy, both from the École Normale Supérieure. 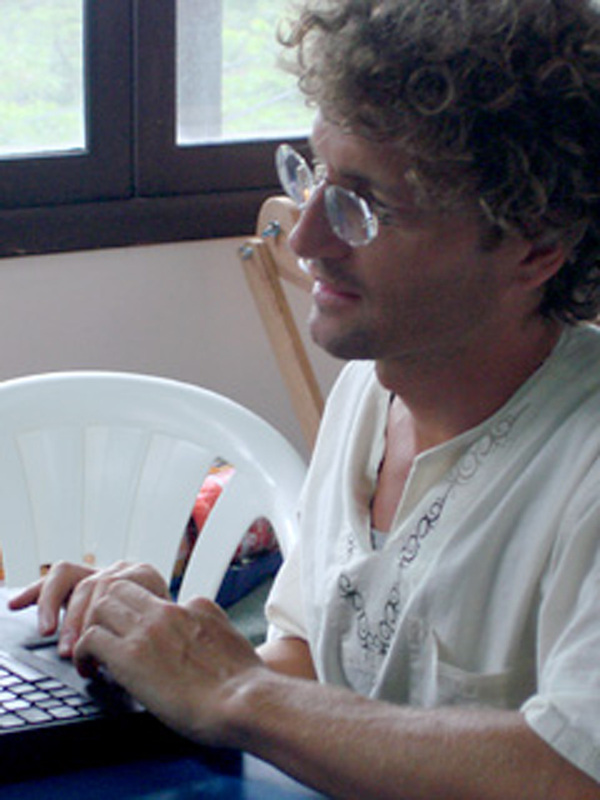 As a postdoc researcher he worked at the Federal Universities of Salvador da Bahia and Santa Catarina, at the École Polytechnique of Paris, and at the Österreichische Akademie der Wissenschaften of Vienna. He was a visiting scholar at Stanford University with a Marie Skłodowska-Curie Fellowship from 2009 to 2011, and has been a fellow at the ICI Berlin since 2012. Besides working on quantum entanglement as an experimental physicist, he has published papers on the history and the philosophy of quantum mechanics, most of which deal with the so-called measurement problem. In these works, the measurement problem is not regarded as an issue to be addressed by physics, but rather as a paradigmatic example of a class of semantic and epistemological puzzles whose dissolution has occupied philosophers of the transcendental and pragmatist tradition since Kant and Wittgenstein. Bohr’s complementarity was devised to address the tension arising between the formal meaning of concepts and the conditions for their valid use in quantum physics. In my project, I argue that such a tension is not peculiar to atomic phenomena and reflects instead the inadequacy of our notions of meaning. As an alternative to the standard reconstruction of Bohr’s doctrine of complementarity, I will sketch a general theory of meaning, which aims at generalizing Bohr’s instrumentalist interpretation of the quantum symbolism. Because of its radical holism, such a theory is faced with severe issues, which can be viewed as a version of the quantum measurement problem. I will address those issues by combining the insight of neo Kantian structuralist epistemology with the pragmatic transcendental approaches in the philosophy of language. I will also investigate the notion of probability and its fundamental relation to complementarity in this context.